Your new account will be the first thing that you will do on Twitter. Account will contain your personal settings and preferences. So how to get one? 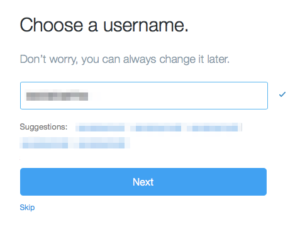 Add your full name (this will be visible in your profile as your name), email address and choose password. 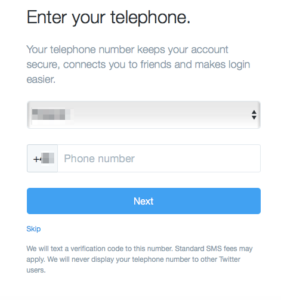 Next add your phone number – this step is optional but having number assigned to your account can help when it will be blocked for some reason, you will forget password or find friends from your contacts that are already using Twitter. Last step is to confirm your email address. After pressing button you will receive short email message and you will have to click link in it. Your account is ready to use! 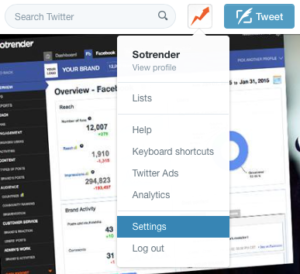 Now you can change some default settings or set up your profile [LINK]. After creating your Twitter account make sure to check and adjust your settings. This way you will be sure that you will be notified about different type of activity and you and your content will be visible according to your wish. Archive – option to request for your archive. ‘Security’ will let you to change security and privacy – so how your account is protected and who will see certain parts of your profile/activity. ‘Password’ here you can change your password. ‘Mobile’ – here you can add or change your phone number. ‘Email notifications’ allows you to decide what kind of informations you want to receive on your email address. TIP: Go through all points carefully to not be spam too much but also to make sure that you’re not missing any important update. ‘Web notifications’ is tab where you can decide if and what kind of pop-ups will appear within your web browser to notify you about activity around your account. 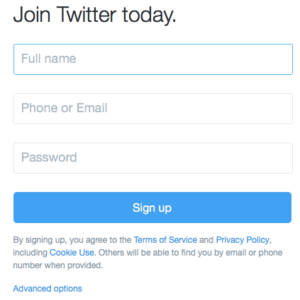 To see them you need to be logged in to your account and have Twitter open. ‘Find friends’ allows you to add Gmail/Outlook address book and look for a friends to follow. ‘Muted accounts’ and ‘Blocked accounts’ – during your adventure with Twitter you can mute or block some accounts (because of their content or general activity) and in those tabs you can see lists of such accounts. ‘Apps’ will contain list of Apps that have access to your Twitter account. ‘Widgets’ – here you can create widgets to embed somewhere outside of Twitter. 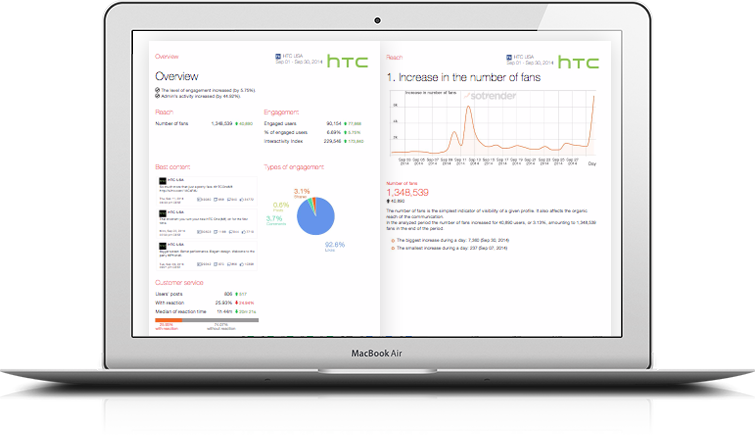 ‘Your Twitter data’ will contain some informations on your activity and also will allow you to update your email address. ‘Accessibility’ is the place where you can turn on/off the ability to describe images for the visually impaired. If you’re doing any changes in your Settings, make sure to always SAVE them before you will leave the tab!